“A lot of people in Scotland know about Peter Manuel. “But I don’t think many people of my age would be aware of the depth of his crimes. 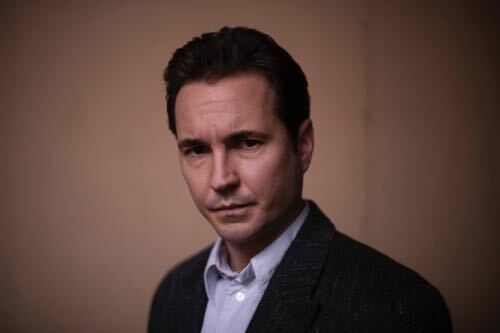 Line of Duty star Martin Compston talking to me about his role as killer Peter Manuel in new three part drama In Plain Sight. Starting on ITV at 9pm next Wednesday (Dec 7). 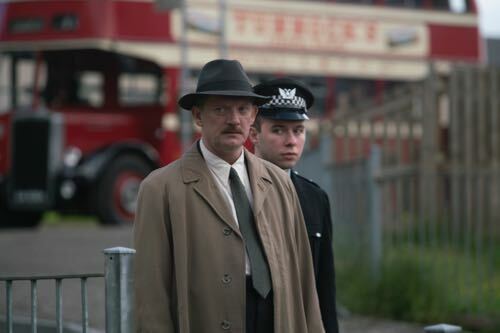 It tells the story of police detective William Muncie’s quest to bring Manuel to justice. A man later convicted of seven murders and believed to have committed two more. 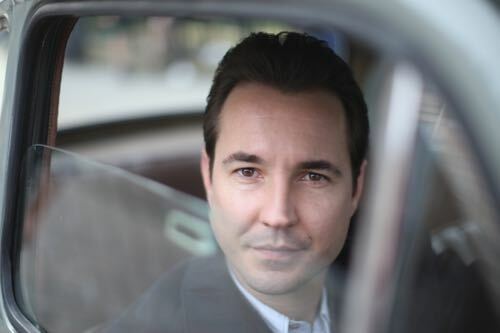 The drama begins in 1946 when Muncie interviews Manuel for housebreaking. Then continues the story from 1955. 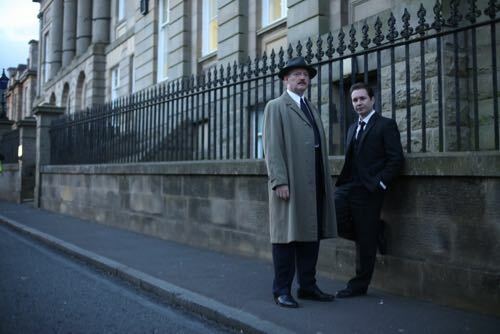 In Plain Sight is written by Nick Stevens and directed by John Strickland, who also worked with Martin on Line of Duty. 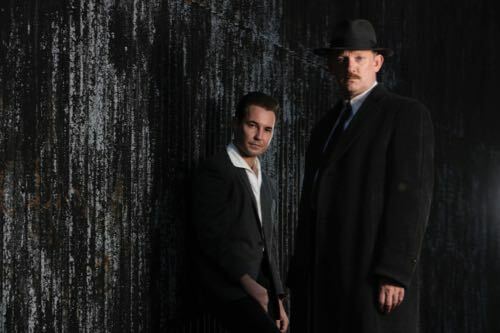 And is made by World Productions, the award-winning company behind dramas including Code of a Killer, Dark Angel, The Great Train Robbery, The Bletchley Circle and…Line of Duty. 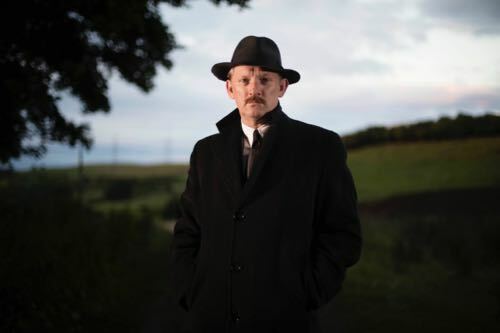 I travelled to Scotland while In Plain Sight was being filmed on location and interviewed both Douglas Henshall, who plays William Muncie, and Martin Compston. 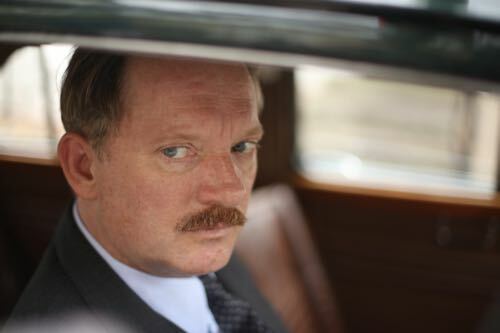 Douglas Henshall as William Muncie. 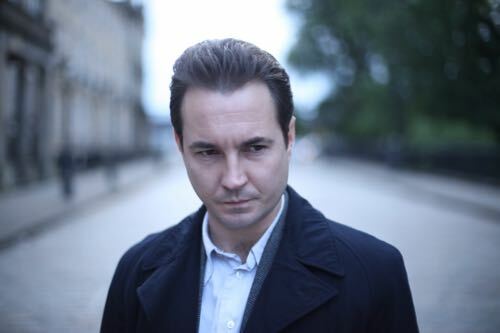 Martin Compston as Peter Manuel. Jenny Hulse as Mary McLachlan. 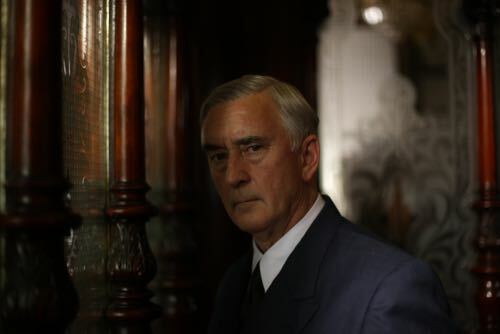 Denis Lawson as Lawrence Dowdall. Posted in News and tagged Denis Lawson, Douglas Henshall, Drama, Finlaggan Films, Gillian McNeill, In Plain Sight, ITV, John Strickland, Kirstie MacDonald, Lanarkshire, Martin Compton, Nick Stevens, Peter Manuel, Scotland, Simon Heath, Television, TV, William Muncie, World Productions. Bookmark the permalink.